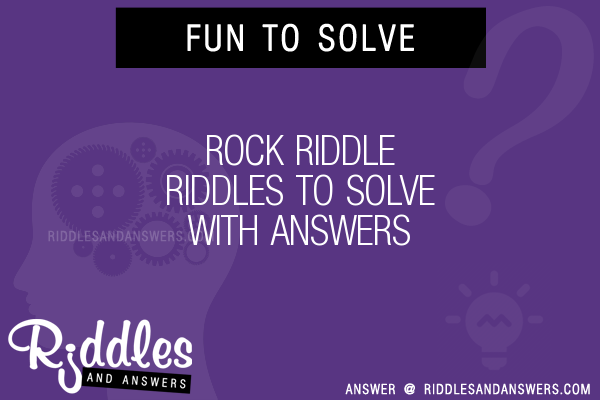 Here we've provide a compiled a list of the best rock puzzles and riddles to solve we could find. The results compiled are acquired by taking your search "rock" and breaking it down to search through our database for relevant content. 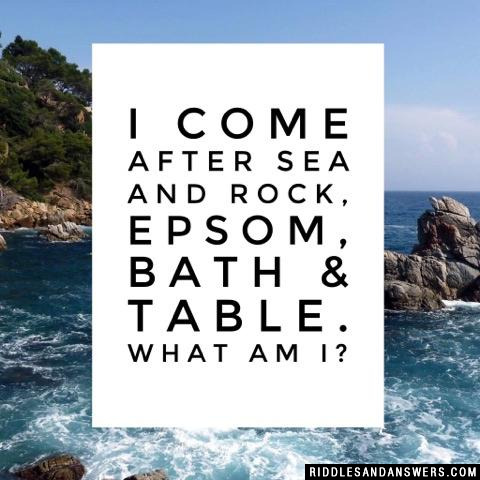 I come after sea and rock, epsom, bath & table. What am I? Wrenching me loose, soon put me to rout. You are standing on the top one of two solid metal pillars. They are both exactly one kilometer apart from each other and they both stand one kilometer high. There is absolutely nothing around these pillars, but you have one small twig, one small rock and an unlimited supply of rope. Using only the materials named, how can you get from the top of the pillar that you are on to the top of the other pillar? The twig and the rock were simply distractions used to divert you from the real answer. Forget I ever mentioned them. All you need to do is fill the space between you with enough rope that it makes a pile so big that you can walk across it to the other pillar (remember I said you had an unlimited supply of rope). I am gentle enough to soothe your skin light enough to fly in the sky strong enough to crack rocks. What am I? What happens when you throw a yellow rock into a purple stream? Kid1, he was left with one rock. Unless lifes gift then quick, seek aid! A lemon. Its a citrus fruit whose juice is acidic and can be used to conduct electricity for motors. A car or other purchase that has problems is known as a lemon and can be expensive to repair.